Atruz-zzz The Guide Pleiades 1. Beautiful Being of Silver energy from the Sirius star system. Atruz-zzz is magnetic guide for Love and Truth. He is connected to Sirius A and B, sometimes embodied as a Dolphin, with a vibrant name that can be pronounced as “Atruz-zzz“. He was as well in the Delphinus System and several other unknown systems on Earth. It can be said that he is an angelic being, having great connection with the archangels. He is son of an archangel, very energetic. By nature, he is a very happy and immediately irradiate his happiness, he has the power to show the light through thin and delicate gestures. His presence, in the higher astral planes, is always very much in demand, where happiness and spontaneity are strongly anchored. He is a being who radiates a beautiful silver light, able to involve every being, from the most subtle to the most dense. It has a powerful ability to communicate telepathically with plants and cetaceans of any system. He is a being that has a powerful and brilliant intelligence. He has participated in various operations in the Sirus existential planes. 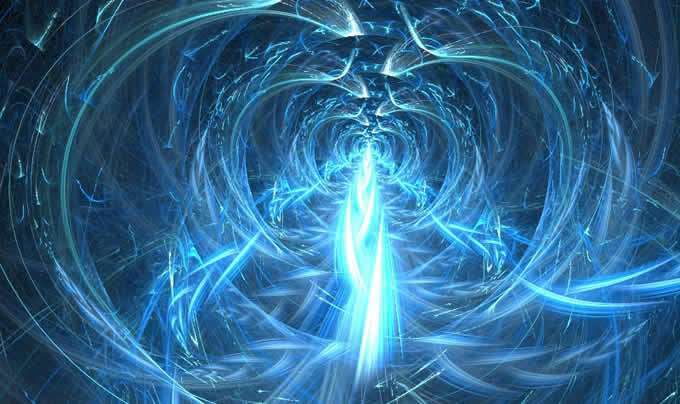 During one of these operations, conducted with scientists sidereal Syrians, with the purpose of making Physical an Etheric Plane, thus allowing some souls to have their experiences in the physical planes. The experiment did not work and the planet was destroyed. The deep sadness that invaded Atruz-zzz has been tremendous but thanks to his innate happiness and energy was able to overcome it. He is a being who, by nature, loves to see systems with large expanses of water, he could be called a water being. He also had experience in physical incarnations as humanoids. On Earth he incarnated many times on Earth, among them he have had some experiences in Atlantis, some others as a Dolphin. He had incarnated in Egypt, during the reign of Ramses II, as an adviser of the Pharaoh. Because of its immense inner joy, it is easy for him to show, to the beings who come into contact, the paths for the elevation of consciousness, in a simple and direct way. While some beings have difficulty understanding the needs of the others, such as which routes to follow, he, with his joyful energy, creates a Silver Vortex of energy that shows the way. Being that are receiving this vortex easily finds their inner path. It ‘also, given its nature, a guardian of the Akashic Records. It has an extensive collection of records within all systems with which it came into contact. He has strong ties to all Syrians beings, with which he can get in touch at all times, and will be immediately assisted in case of need. It has a tiny crystal light in the center of the head, used as a direct communication with any entity, in sea or in the Sirius system. It is a quantum device, which serves to increase the telepathic capacity. To date, he also maintains a crystal of light in his heart, saved before Atlantis final. It is a crystal that permits the opening of portals, by connecting different vibrational levels, and tied to the Inner Earth. The dark forces are looking for this crystal, or at least one of these, as there are many. To save his crystal Atruz-zzz made him Etheric, moving it inside his lighted heart, preventing it from falling into the wrong hands. Even today some blacks magicians try to get hold of the crystal, but it is largely protected by the positive beings from Sirius. 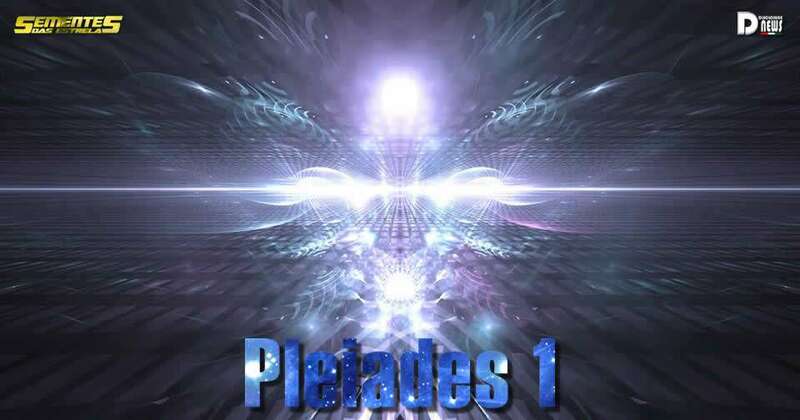 He was called on Earth by Pleiades 1 to focus on the great oceans and contact telepathically the Oceanic family of the Cetaceans. 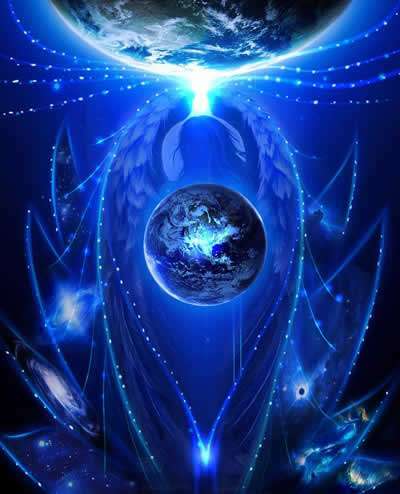 The purpose is to exchange information needed to complete the construction of the Crystalline Grid on the planet. 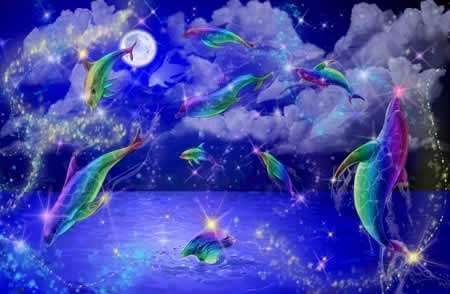 They, the Cetaceans, are anchors and developers of the crystal’s magnetic energy. He was also called to help large cetaceans and ensure the protection of the great amount of Akashic Records that are stored in their fields and to prevent the evil forces to come into possession of these Records. His presence, with his joy, opens new avenues by breaking the negativity wherever he goes, and showing the light path to all, showing the way with joy and lightness. Finally, it has the ability to bless the waters with the touch of a finger.